Why You Need This: The gas tank is one of the parts of your Honda CL / CB350; CL / CJ / CB360; CB550 that is frequently removed to perform service on the bike. 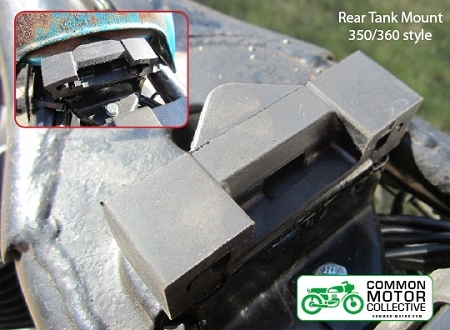 It is even more common that the the rear tank mount is broken, dry rotted out or even missing (it was the case on my fist CB360). 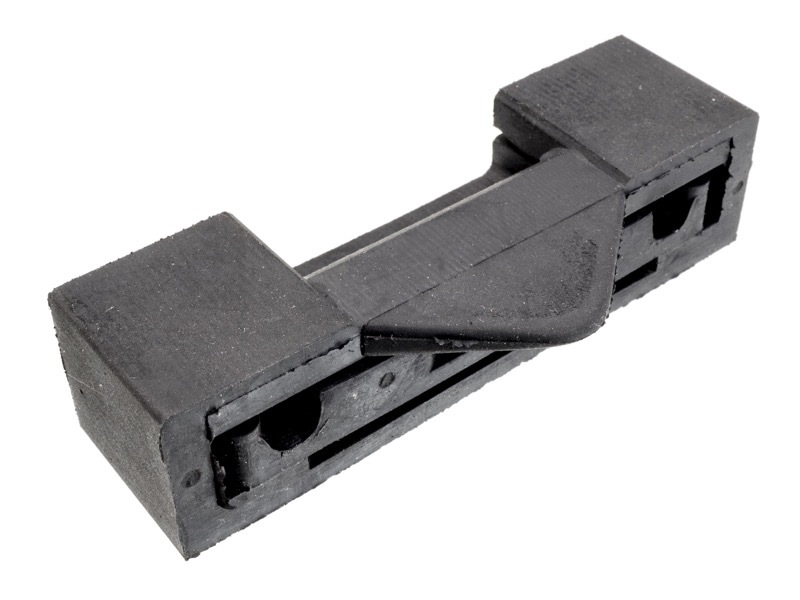 The good news is that we have a new rear tank mount for you. 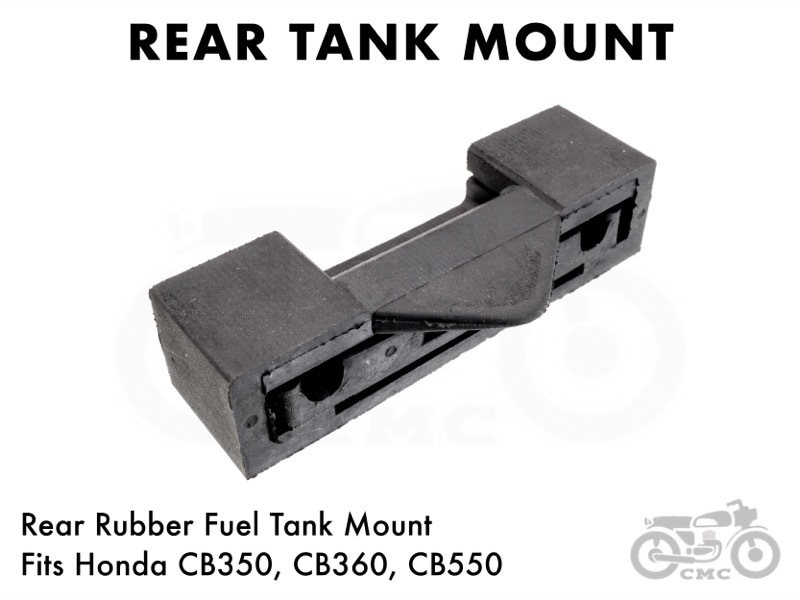 Crafted in Japan from high quality rubber, our rear tank mount is exactly like the original found on your Honda CL / CB350; CL / CJ / CB360 or CB550. 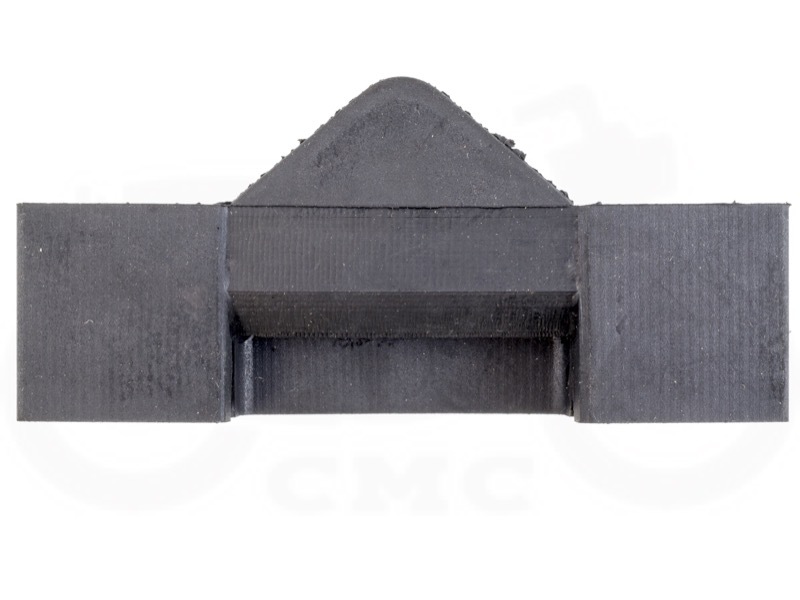 Replacements are available for the front tank mounts if they are missing as well. 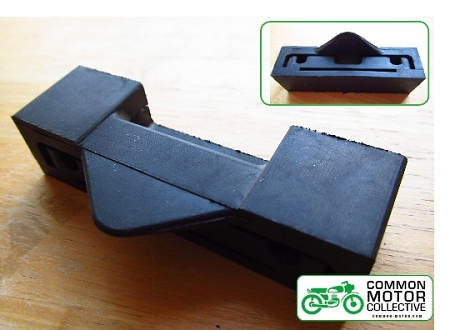 Installation Tip: The point of the rubber mount faces towards the front of the motorcycle. The front mounts must be in place to make sure everything fits just right otherwise the gas tank will be not be secure on the frame. Perfect fit and function. Easy to install with no surprises. Got my tank life back in order. Kept sliding back into my seat - etc... Didn't even know the bike was supposed to have one of these but it sure explains the little metal prong under the back of the seat. Wondering how long this will last as you really need to work it to get the tank into it, but it's way nice in the meantime! The rubber is a perfect fit. Very snug on the tank. Thanks for another great product!